This entry was posted in news and tagged Configurator MINI JCW MINI USA on March 6, 2015 by James Day. 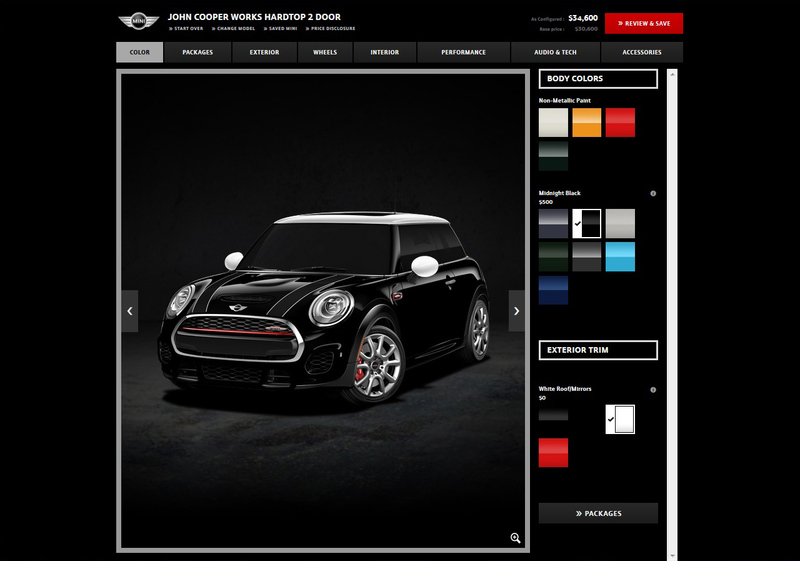 The MINI USA Configurator has been updated and you can now build a MINI John Cooper Works Hardtop 2 Door. A new JCW-exclusive color is JCW Rebel Green. An exclusive Chili Red roof and mirrors option continues for the new JCW. Build a 2015 MINI John Cooper Works Hardtop 2 Door at MINIUSA.com.